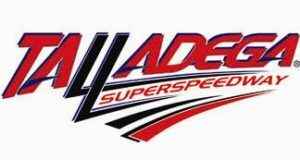 Talladega Superspeedway, 3366 Speedway Blvd. Catch the Monster Energy NASCAR Cup Series and the Xfinity Series tackle the 2.6 mile Super Speedway on April 28 - 29. Join us in the state where it is illegal to hunt whales and farmland covers 88% of the state on May 11 for the Monster Energy NASCAR Cup Series and Camping World Truck Series. Join us in the Home of the “Big 3” June 9 for the Monster Energy NASCAR Cup Series and the Xfinity Series. Head to Chicagoland Speedway for triple header action on June 29 - July 1. Don't miss one of New England's biggest parties of the summer as NASCAR heads to New Hampshire Motor Speedway on July 21. Join us in the Irish Hills of Michigan August 11 for the Consumer Energy 400 at Michigan International Speedway. We head to The Last Great Coliseum on August 17 for one of the most popular races in NASCAR, the Bass Pro Shops NRA Night Race. Monster Energy Cup Series and the Xfinity Series are going to attempt to tame "The Lady in Black" at Darlington Raceway on September 1. Head to The Silver State on September 15 for triple header action as NASCAR comes to "Sin City". Click your heels three times to arrive at Kansas Speedway on October 20 for the Monster Energy NASCAR Cup Series and Xfinity Series!